Are you looking for the perfect antivirus that will provide you with a safe Internet browsing, high performance of your system, complete protection during banking and social media staying, and impeccable password management? BitDefender internet security 2018 is what you are looking for and combines all of the above features plus anti-fraud, cloud integration, rescue and advanced defense against Ransomware threats and other threats. 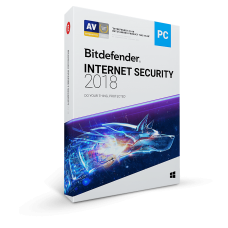 Download Bitdefenter internet security 2018 From Here.